The Day function takes date as a parameter and returns a number between 1 and 31, that is the day of the month. 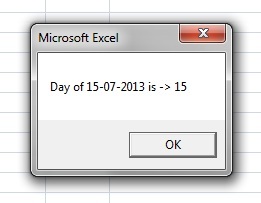 Date, whose day needs to be calculated. 219 queries in 0.178 seconds.